Should I go with oils like all the great masters? Should I go with acrylics like most beginners? Should I go with the untamed watercolors? I started with acrylics but soon realized that they do not suit the way I enjoy painting. I eventually landed on oils and have not looked back. I designed this quiz to help those of you who are at a crossroads - unsure which path to take. 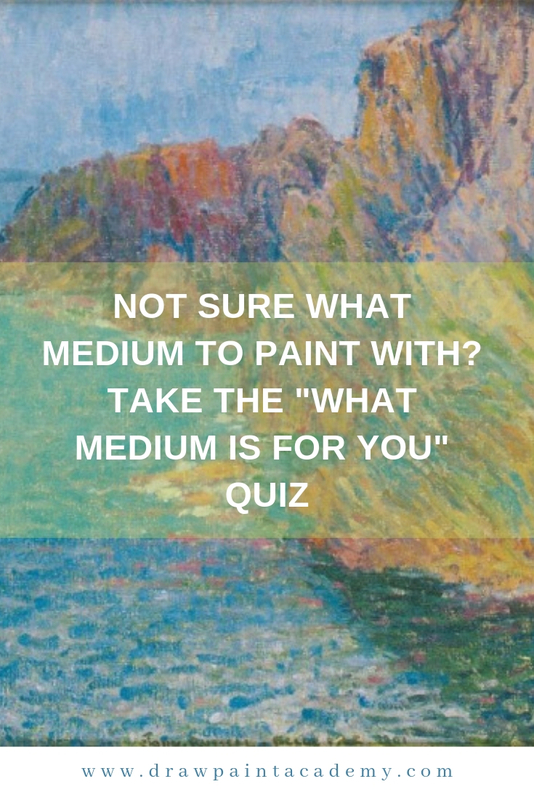 You will be asked some questions about how you like to paint and at the end you will be given a suggestion of oils, acrylics or watercolors based on your answers. But remember, this is just a suggestion. Also, do not feel like you must only ever stick to one medium. Feel free to experiment with all kinds of mediums, but I think you should certainly have one which you focus on. To start, just click on "Start Quiz" below.